Concrete is a material with “tough” industrial aesthetics which Most of the time we see in large outdoor constructions and not in design objects. But the immense flexibility which offers for the creation of complex shapes combined with its extraordinary durability makes it suitable for a variety of decorative applications. 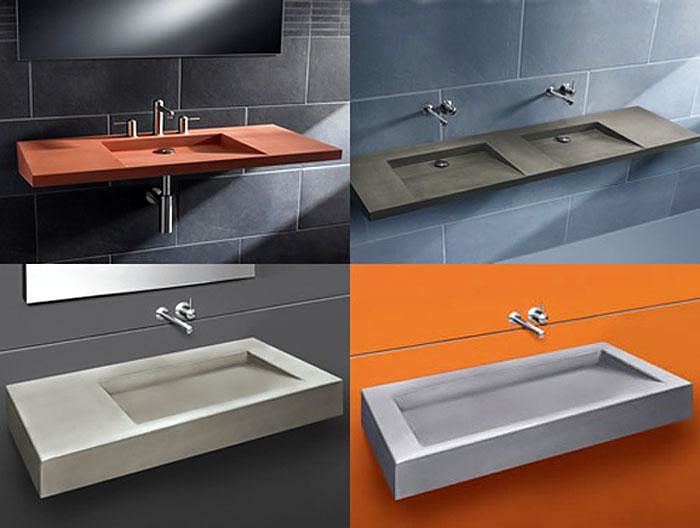 German brand HighTech offers an extensive range of stunning and sophisticated washbasins made from patented concrete. The concrete used is special mixture of “glass fiber reinforced concrete”. The mixture also contains additives that make it resistant to scratches moisture and breakage, while its surface is sealed and treated with polish cream. Minor variations in pores or color, streaking and shrinkage cracks are an intrinsic part of the material. 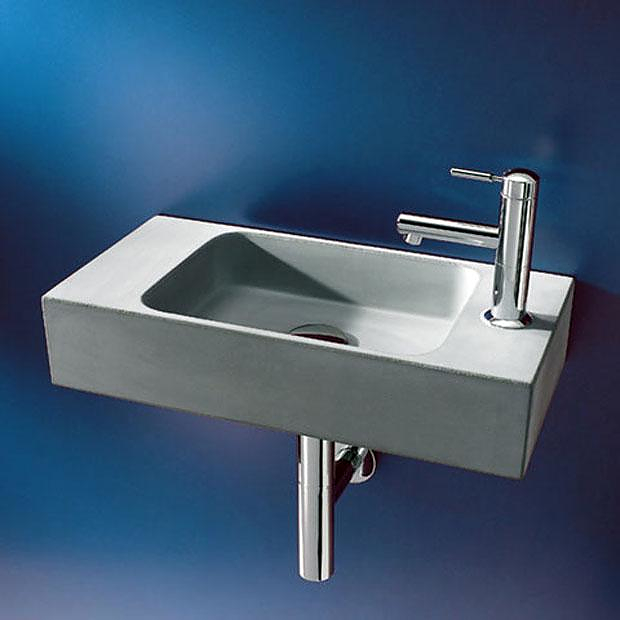 HighTech concrete washbasins are clearly distinguished by minimalist design, ergonomic simplicity and strict modern line, in accordance with the philosophy of contemporary German design. Many of the brands’ designs have repeatedly excelled in important design competitions. The “Wedge Washbasin” for example (left one on the picture) won the much sought-after “red dot design award” in the “best of the best” category, where selection is made according to the strictest criteria. 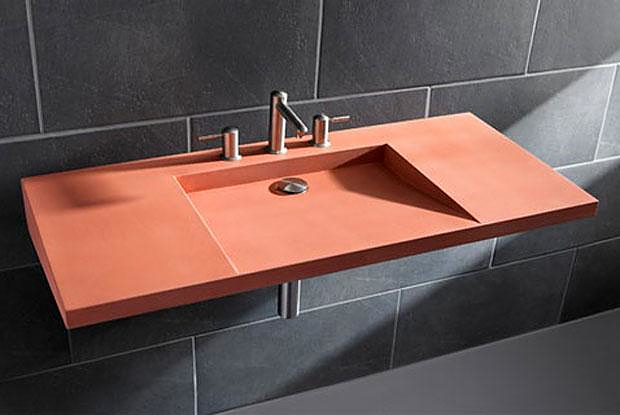 Another interesting feature of the patented concrete that used in HighTech concrete washbasins is the ability to infuse the material with color. Therefore it can be made in a variety of colors, that are not coating or paint, and maintain the texture and the “industrial feel” of concrete. 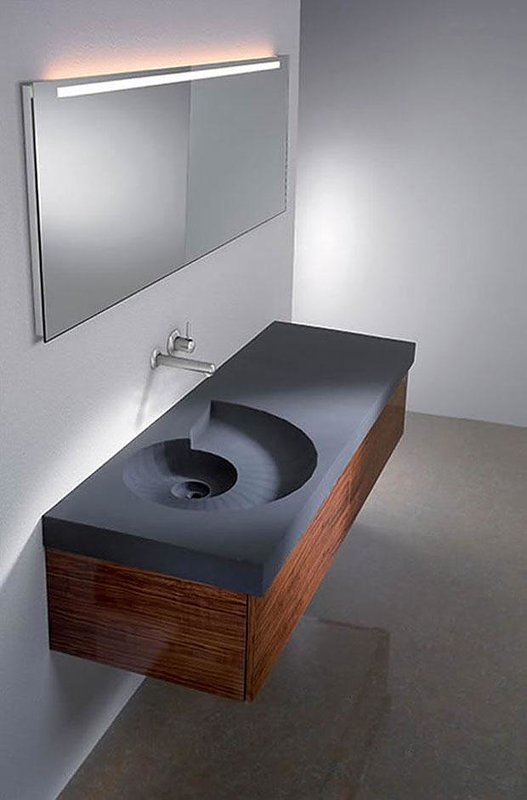 Our two favorite designs from the HighTech range are the “Wedge Washbasin” and the “Ammonite Washbasin”. Wedge is stands out for its purism and its seemingly weightless design. 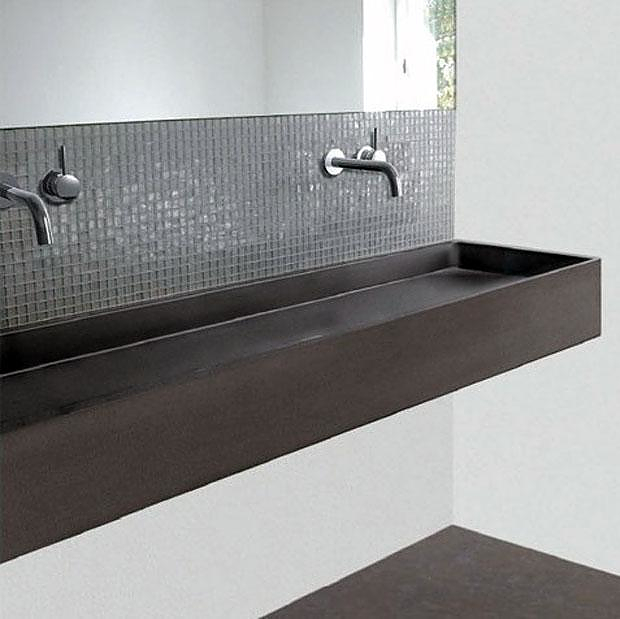 The Wedge washbasin sets a new standard in modern bathroom design due its endless customization possibilities. 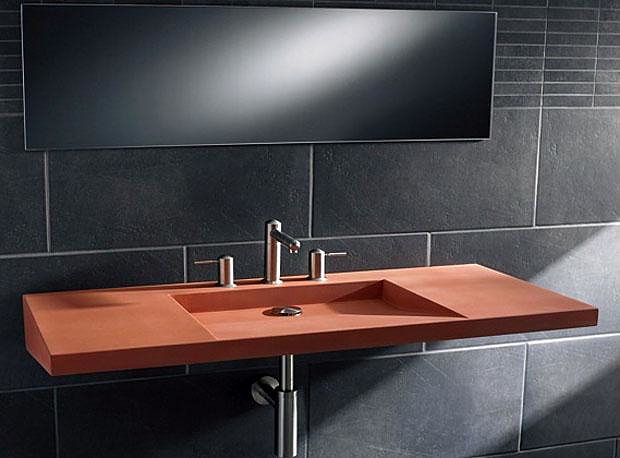 Effectively any solution is available on request, double washbasins, for instance, or washbasins in non-standard sizes, countertops, kitchen worktops, the possibilities are endless. 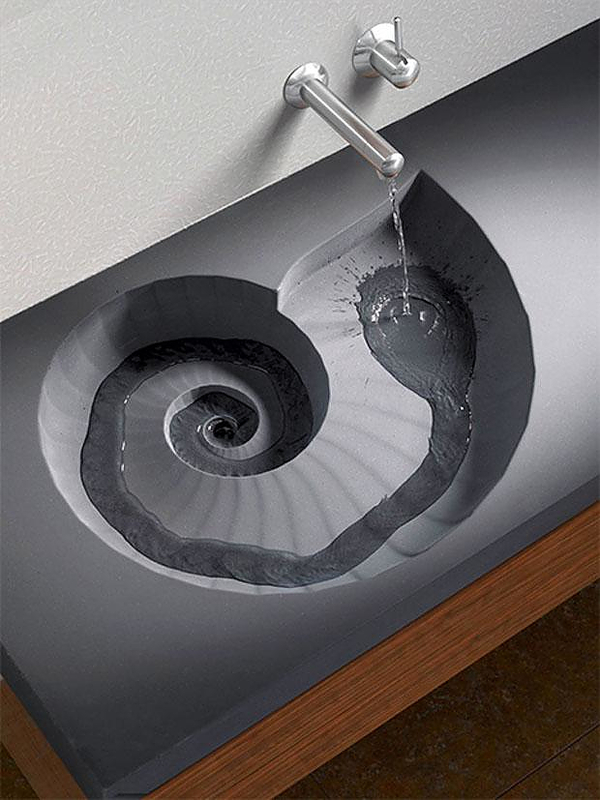 Ammonite on the other hand is an artistic implementation of the material, this washbasin is named after extinct species of cephalopods that existed 400 million ago. 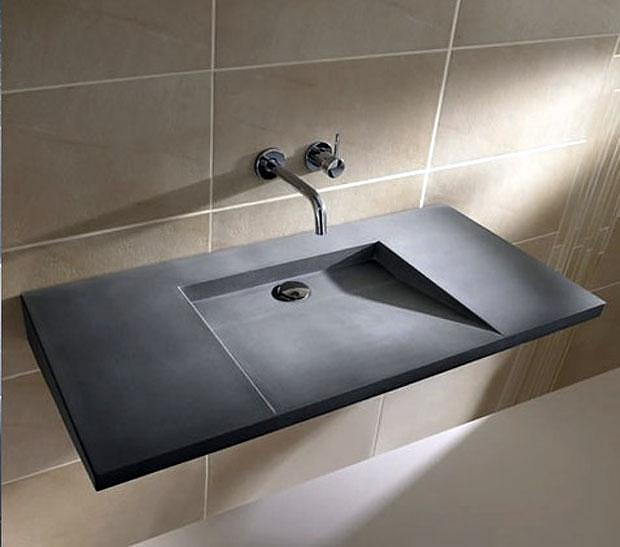 HighTech concrete washbasins are already considered classic pieces of industrial design and will add a distinctive “industrial feel” to any modern space.